Flips flops are great for the spring and summer, but careful not to wear them all day. It can put your feet at risk for injury, according to Dr. William Spielfogel, chief of podiatry at Lenox Hill Hospital. Tips to prevent injuries while running during the spring and summer. Doubling Up Socks: Good or Bad Idea? Should you double up on socks in the cold weather? 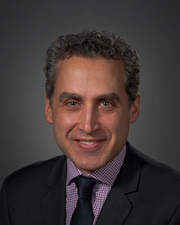 Find out from Dr. William Spielfogel, chief of podiatry at Lenox Hill Hospital.